ScribbleLive - WHTM Harrisburg, Pa.
Hi Brett, just wondering what the weather will be like in Camp Hill ?? Thanks and stay warm. 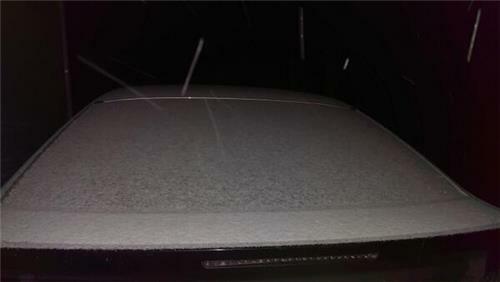 Snow has begun in South Mountain, PA.
Are we still looking a 5am start I work on the turnpike in Bedford county? I don't care how many times you're wrong or right, I love watching the ABC27 weather team. Funniest dudes on the news. Also, kendra is such a hottie mctottie! Setup for next Sunday and Monday looks good too! Eric you live in Perry county near me, how much do you expect us to get? 7 is my number south of route 30 in Franklin county. Obvious that boundary is limping through which is good to see. True Arctic boundary is what storm will move along. Good little storm but just a hint of things to come. How many inches are expected for tommrow in Harrisburg PA? I start work at 530am. What will it be like at that time? what causes a powder snow vs a wet snow? How much can i expect in Lemoyne? How long is this snow expected to stick around? I have weekend travel plans. Eric, could this storm shift to the North giving us more snow or do you see this storm staying to the south and giving us your current forecast? So, Harrisburg is going to get 3"or less thus only having an advisory? Eric, I drive a Camaro and drive 20 miles to work. When is the heaviest snow to start? I'll this storm cause delays and closings for schools in the Harrisburg area due to its timing? @STEVEN KONARZEWKSI I go to PSU and I agree with you the call on 3-6 below the turnpike is a blow away on there part. Sorry weather team. Hey Eric! Any chance this storm will move more North and Harrisburg gets more snow? I start work at 5:30am. What is the snow gping to like then. I drove home around 8pm tonigjt in Mechanicsburg and there were flurries here and there. This is just a dress rehearsal for February! Split flow pattern is possible. 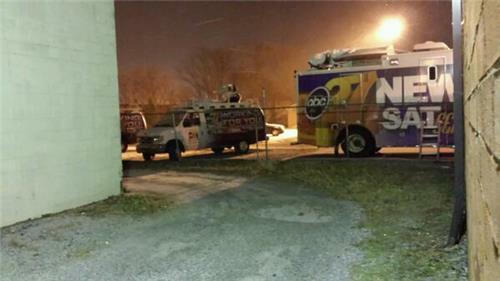 Hbg and HERSHEY, where I live and wk, look on the line....hazzard predictions around 6am? Good setup for Sunday into Monday. No school watch is already in effect for next Monday! When looking at the map showing total snowfall, the pink has a little hump northeast of Harrisburg. What is causing this? Also, thank you for doing this web chat...very interesting! I've always been curious about why it seems so quiet when it is snowing. I love the quiet peacefulness. Can you explain why snow is such a great acoustic absorber? What causes the sharp distinct cut off precip lines on a map? This is Excellent. My family and I live in the very southern end of Juniata County about 3 miles south of East Waterford against the west side of the Tuscarora Mountain. We had a little bit of rain and sleet earlier with pretty strong winds but that has all seemed to die down now. Where we sit and with the flow of the storm, it appears the mountain will split this event and stay more to the east side, Chambersburg, Shippensburg and Carlisle then East. 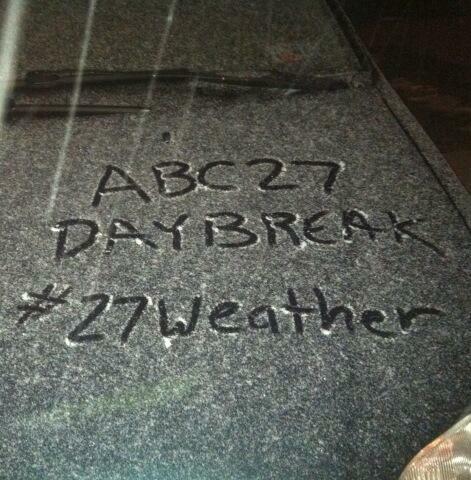 Gearing up for some snow talk on #27Daybreak this morning. Hope you'll join me and the gang starting at 4:30. Is the potential for several inches of snow in mid to late January EXTREME WEATHER for the Mid-Atlantic? Thoughts? All content © Copyright 2000 - 2014, Worldnow and WHTM. All Rights Reserved.